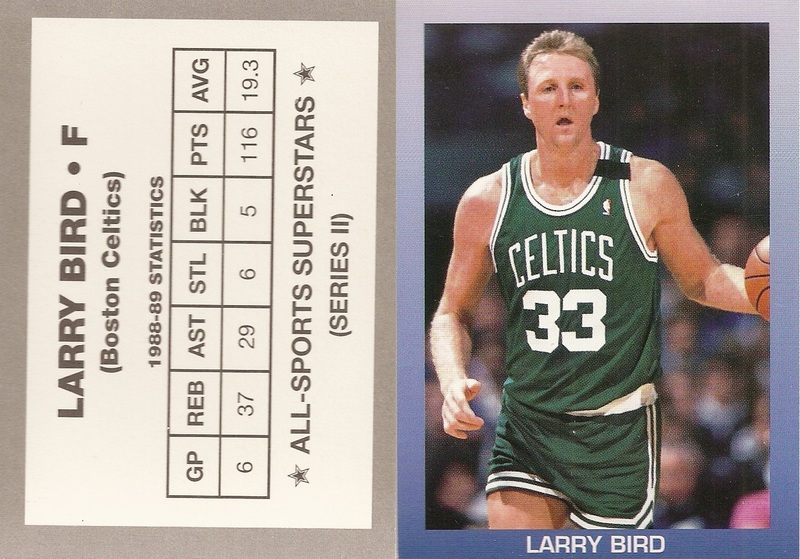 The All-Sports set was released in four series over 1989 and 1990. 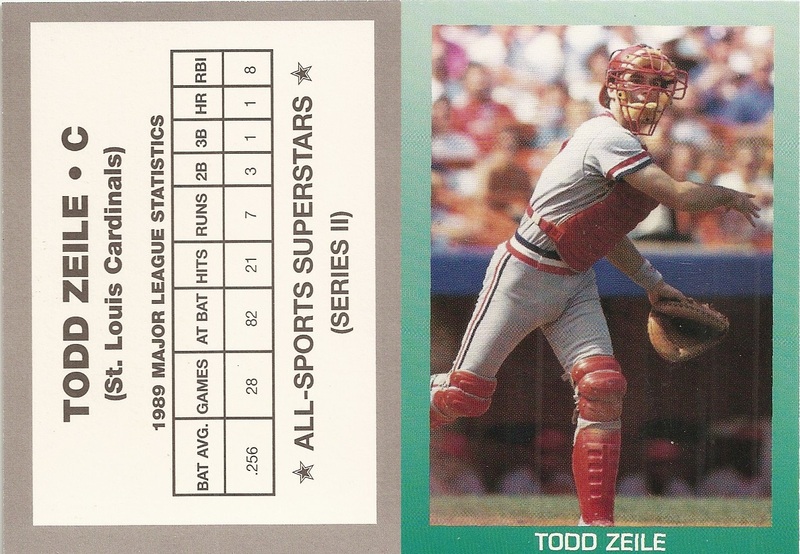 It is a multi-sport set with players from baseball(green border), football(gold border), basketball(blue border), and hockey(red border). 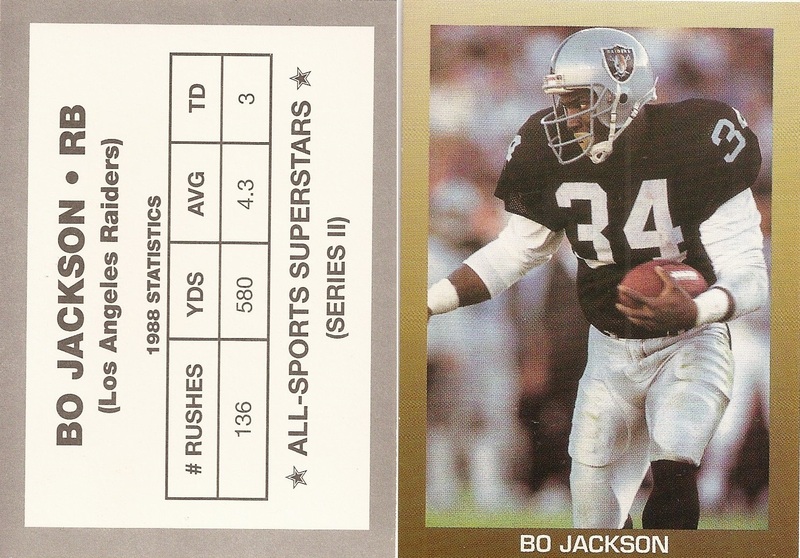 The only information on the front is the players name. 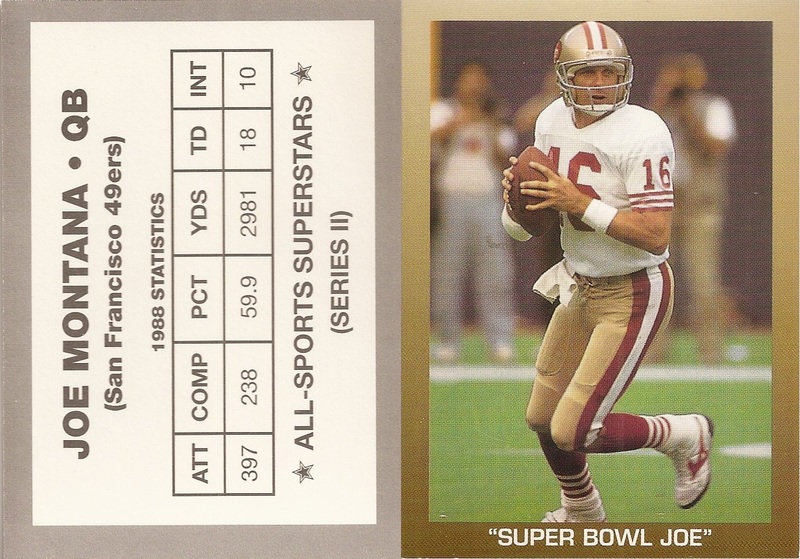 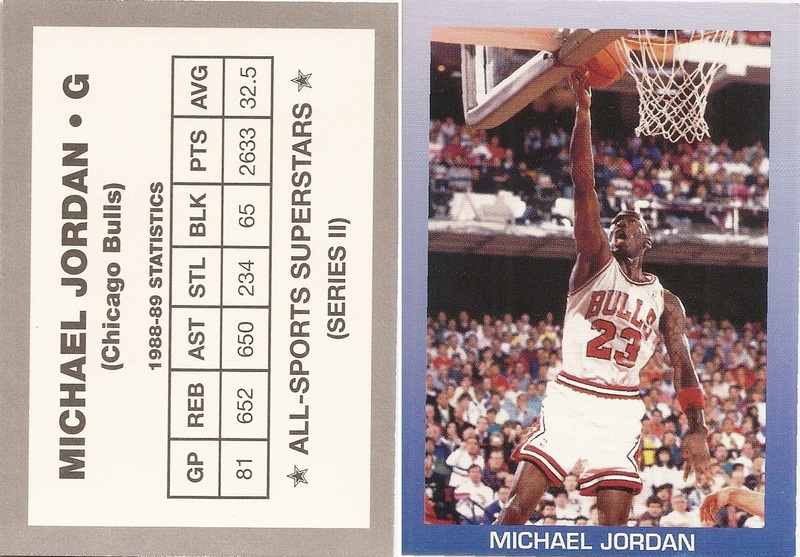 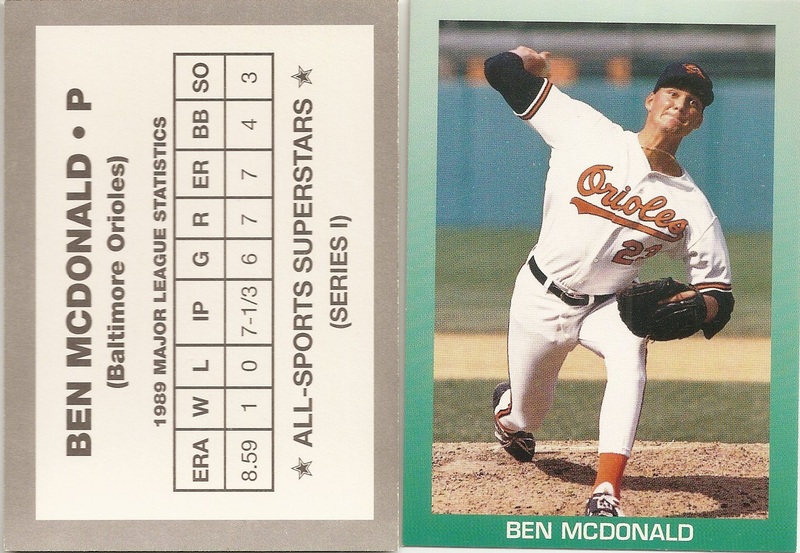 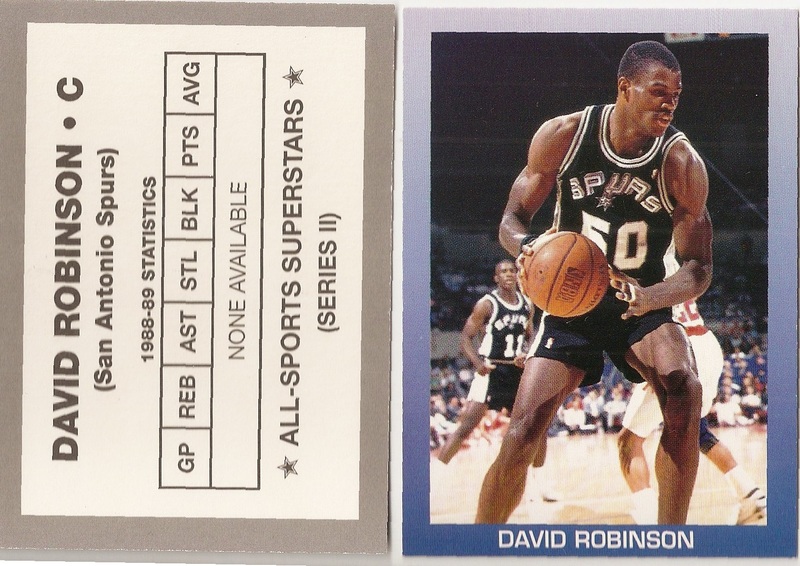 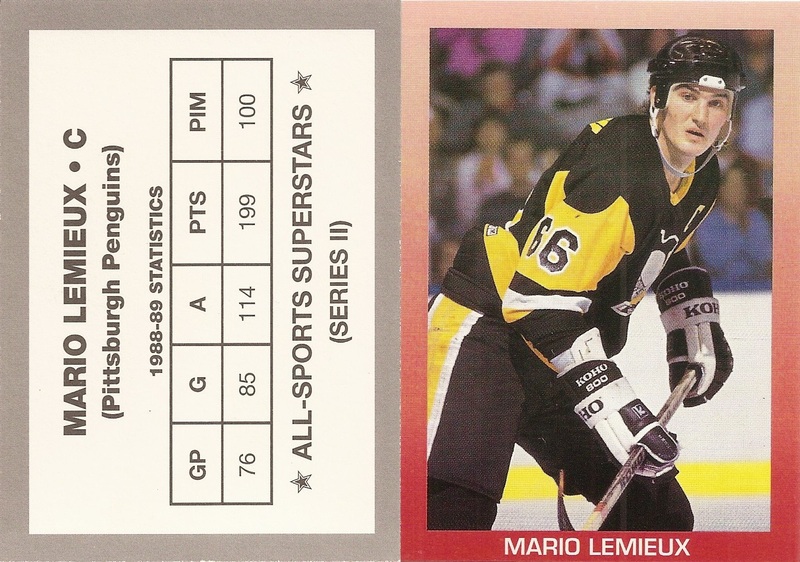 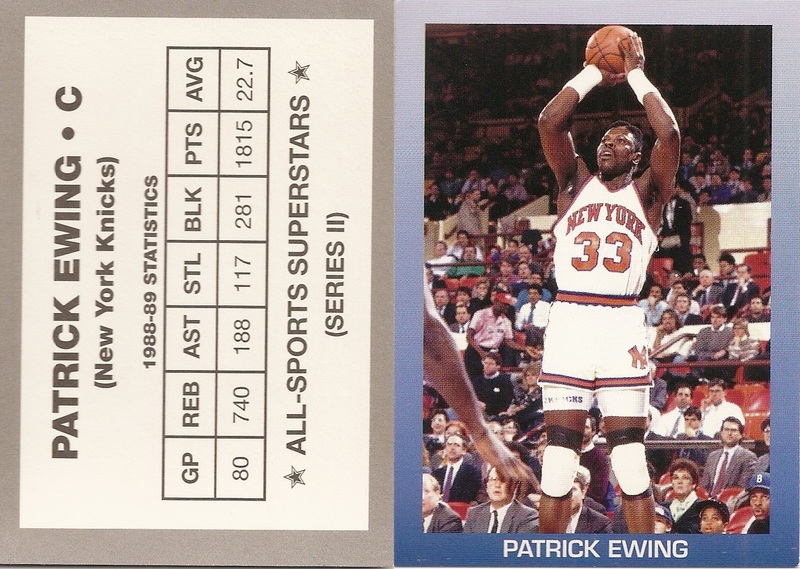 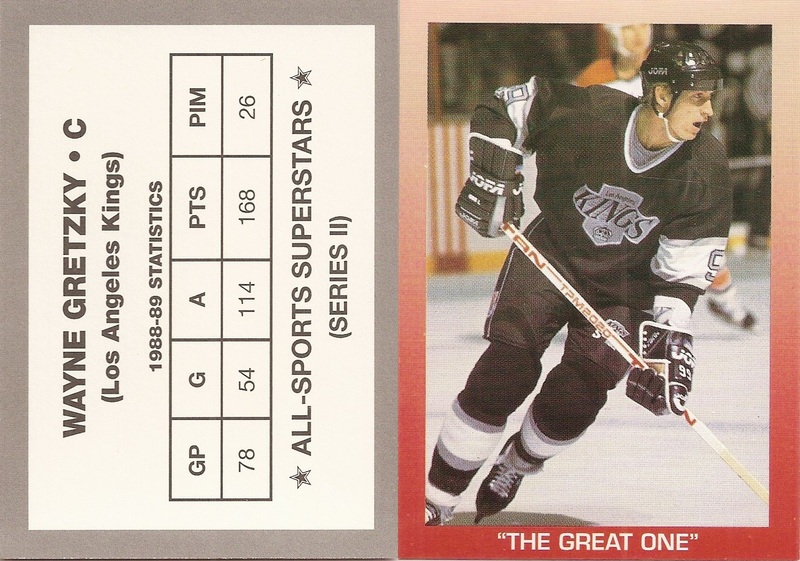 The back of the card has the player name and team, the previous year stats, the set name, and the series. 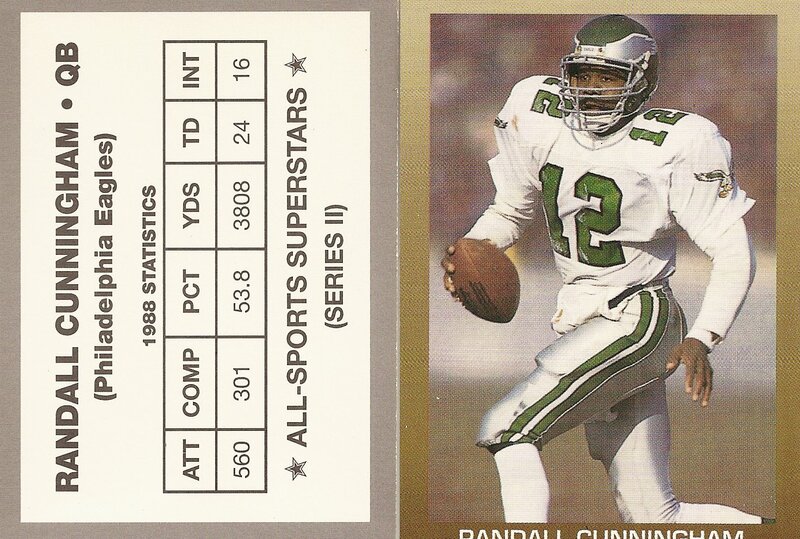 This is the 12 card Series II from 1989.